A regional publisher has made a senior editorial appointment to help lead its digital strategy. Archant London has appointed Laura Adams, left, as a digital editorial director from 28 November, who will guide content on the publisher’s websites across the capital. 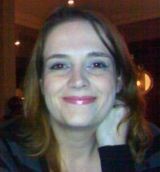 Laura joined Archant in 2008 and has held senior editorial roles including deputy editor at the Ham&High and editor of the Barking and Dagenham Post. In her new role, she will report to Archant London’s digital director, Paul Hood. He said: “I’m delighted that Laura is joining as digital editorial director. This is an important new senior role; to lead the editorial strategy of London24 team and to work closely with the group editors to make sure that we make the best of the content of our newspaper websites also.